Leave a Comment on We’re official on UNTAPPD.COM! 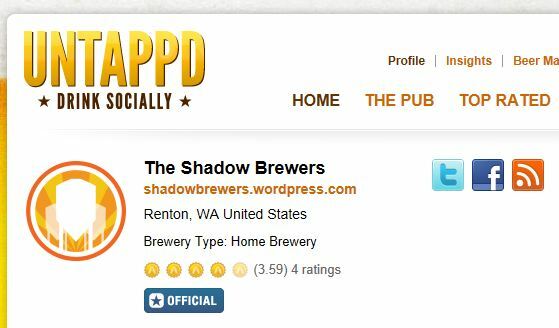 That’s right people, The Shadow Brewers have officially been approved by the beer rating and social-drinking sight, www.untappd.com! You can use untappd online, or get the app for your mobile phone. It’s a fun way to keep track of and share the new, interesting and delicious brews that you and your friends enjoy!